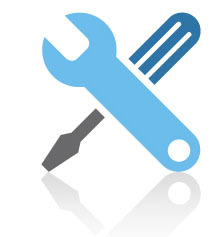 Hassle Free Website Maintenance from Webati! Home » Hassle Free Website Maintenance from Webati! Even after your website has been designed and created by Webati, you will still need to engage the services of this San Jose web design firm to maintain your website. It can be a relief to many business owners to entrust the maintenance of their websites to a professional San Jose web design firm, so that they do not have to worry about it themselves. To maximize the potential of your business, the content of your website will need to be regularly updated and kept fresh. Webati can provide these San Jose web design services through a variety of means, including content management services and developer assistance. It will also be imperative for your business website to be kept on par with the latest trends in web development, such as e-commerce, search engine optimization, and CSS. When it comes to maximizing the potential of your business’s website, engage the services of a professional San Jose web design firm, such as Webati, to do it all for you.